NGC 7331, the largest galaxy in the picture looks quite similar to the galaxy we live in, the Milky Way. Due to the similarity it also used to be called as the Milky Way's twin. 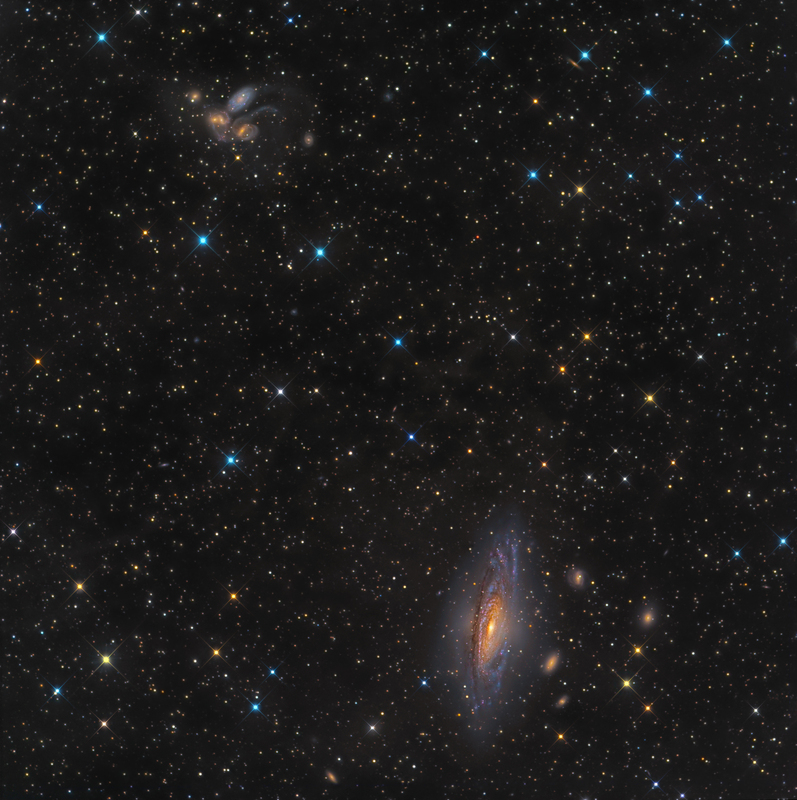 With other four galaxies, NGC 7331 forms the Deer Lick Group of Galaxies. The name of the group comes from an amateur astronomer Tomm Lorenzin, who was astonished while he was observing the group from the Deer Lick Gap in North Carolina. The other group in the lower left corner of the picture is the Stephan's Quintet, named after its discoverer.